Meet Jay Williams, Antawn Jamison and Get a Cool Jersey! Wanna Meet former Duke great Jay Williams and former Tar Heel Antawn Jamison? If so head down to the Tobacco Road Sports Cafe' where they, in conjunction with Dove Men+Care, are launching the #REPtheRIVALRY campaign which celebrates the bonds between the biggest college basketball rivals. Be there on March 9th from 12:00-2:00pm EST at the Tobacco Road Sports Café (1118 Environ Way Chapel Hill, NC 27517) in Chapel Hill, NC. Williams and Jamison will be there meeting and greeting fans of the rivalry and giving away limited-edition jerseys that are inspired by the history and culture of Duke/UNC, with a vintage-inspired look. Dove Men+Care has partnered with menswear designer Don C. – founder of streetwear to create the jesrseys. 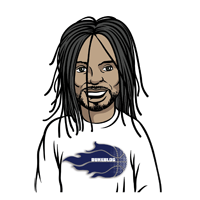 They will be available exclusively to these fans as well as former players Antawn Jamison and Jay Williams, inspiring all basketball fans to rep their own rivalries throughout the tournament. Supplies are limited and first come first served. For more information on #REPtheRIVALRY, follow @dovemencare and visit dovemencare.com/reptherivalry. 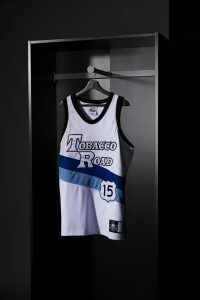 About the Tobacco Road jersey: The most significant road in college basketball, Tobacco Road, is a 10 mile stretch that connects the most heated rivalry together. Split down the middle, the diagonal slash that is stretched across the chest of the jersey is filled in with the two school’s signature blue shades. The Route 15 sign, the highway that Tobacco Road is named from, is stitched at the base of the slash. On the back, the “11” represents the combined number of championship titles that the two schools share.